My name is Christina, and I appreciate you stopping by the blog! For a few “about me” details, I’m 30 years old and live in California with my sweet husband, beautiful daughter, and one fluffy dog. I love green and yellow, tattoos, rain, pizza, glitter, and music. I am currently a stay at home mom to my little girl. Makeup is my primary hobby. I’m not a pro of any kind, I am simply a makeup lover and enthusiast. Makeup brings me joy. When I sit at my vanity to play with bright eye shadows, sparkling glitters, and bold lip colors and I feel relaxed, I feel happy. The Makeup Moth is a simply a fun, relaxed, and casual space to share a love of beauty and makeup. Here you will find a variety of posts including reviews, swatches, makeup looks, tutorials, and much more along the way. So an enthusiastic welcome to you, and I look forward to the connecting and sharing that I hope will take place here! I don’t edit my pictures in any way aside from cropping and adjusting lighting and temperature for color accuracy as needed. I personally don’t appreciate when people edit and filter the ever loving hell out of their pictures in order to look flawless (a practice that is becoming increasingly common and almost expected.) It’s a deceptive illusion and perpetuates a level of beauty that is unrealistic and often unattainable. Lighting and angles can create a false flawless appearance, but I’m sure you’ll notice (especially upon zooming in) all sorts of “flaws” in my photos-large pores, breakouts, messy eyebrows, etc. I’m a real person with real, NORMAL flaws. I will never alter my appearance. Have any questions? Please feel free to contact me and let me know! I think so too! It’s been hard trying to track everyone down that I followed with my old blog lol. I don’t think that would be possible lol. I haven’t posted as much as I’d like to, but I hope to focus on it more after moving, getting settled, and getting a majority of my medical appointments out of the way. I have met the best people blogging on here 😊 With my Rosacea, I have the subtype 2 and have red acne like bumps. So when I put makeup on its like flesh colored bumps lol. It’s improved quite a bit since I’ve been on treatment for it. You can’t always see the bumps with certain light or angles. I don’t really care though lol. I go on Snapchat without makeup often. Dark circles and bumps is just how I naturally look, and when you’re in your 30’s, you just start to not care as much. I’m not going to put on makeup just to go to the grocery store and run a quick errand. A very informative and interesting write ups there! Aw thank you so much 🙂 I’ll have to check it out! Hi Christina, you’ve got an AMAZING blog here! Thank you Karen, thats so sweet! Im really enjoying yours as well so youre more than welcome! That is so true! Such a nice community here it seems 🙂 You too!! Hello. I have nominated your blog for the Sisterhood award. Please check it here http://unsmileys.wordpress.com/2014/09/05/sisterhood-of-the-world-bloggers-award/ for more info. i really enjoyed your latest post. I just started blogging and I am so happy to find other makeup lovers that share similar interests. i look forward to following you! Your blog is amazing even at first glance! Definitely worth a worshipping every post you do! Hello! I’ve nominated you for the Liebster Award! 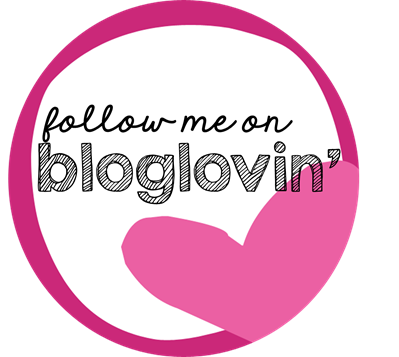 Its an award dedicated to promoting up and coming blogs! I hope you’ll check out the details and participate as well! You can find all the information on my blog! Love the name! Looking forward to seeing your posts!